Today, the weather was warm and the sound of snow and ice melting was like music to my ears. After an extremely long and harsh winter, while out for a walk with the dog, I began to notice things that I haven’t seen in months. I walked by someone’s house to see a Christmas tree on top of the snow. 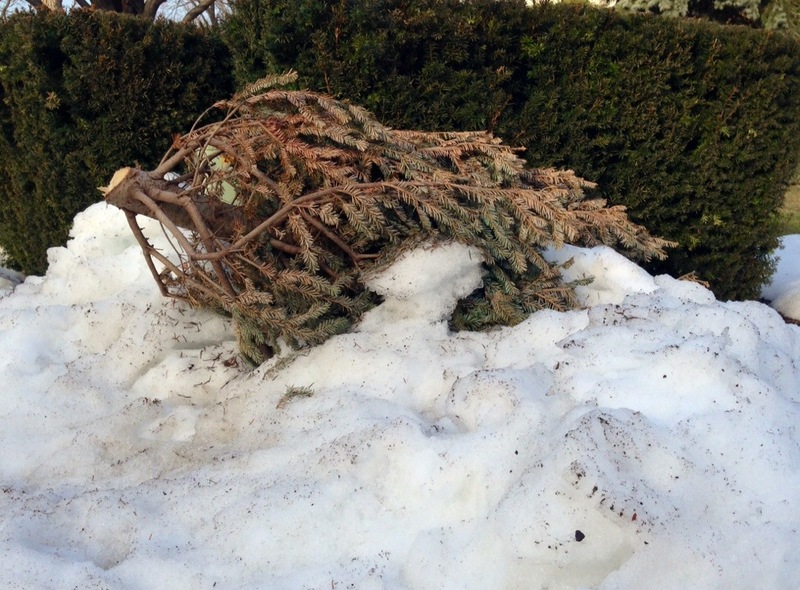 I thought it was odd that in March, someone was throwing out a Christmas tree. I stopped and saw that it was actually embedded in the snow and the only reason I now noticed it, was because someone had attempted to dispose of it months ago, but the constant snow had other plans. It was then I realized that the Christmas holiday had been frozen in time. A few feet down the street was a large christmas ornament on someone’s lawn. 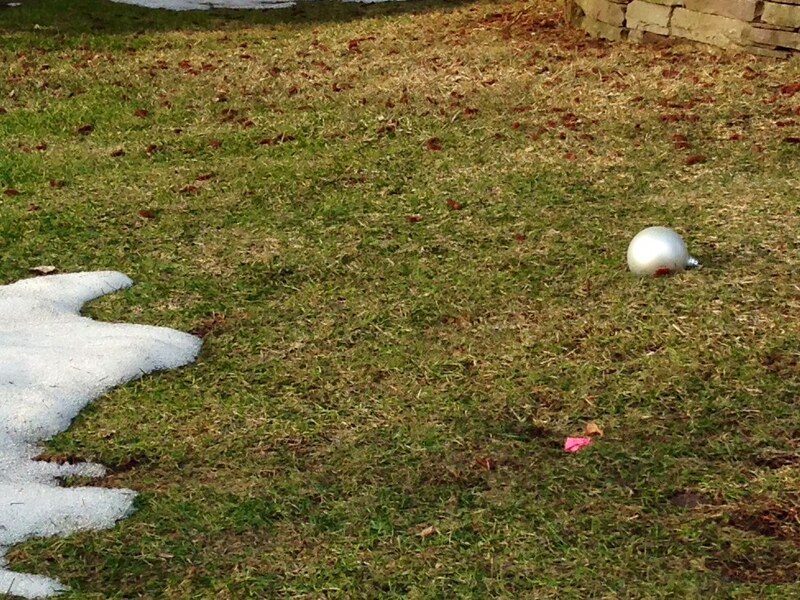 Well, the grass is something I haven’t seen in a long time, but the Christmas ornament just made me laugh and remind me of how long we’ve been encased in snow and ice. 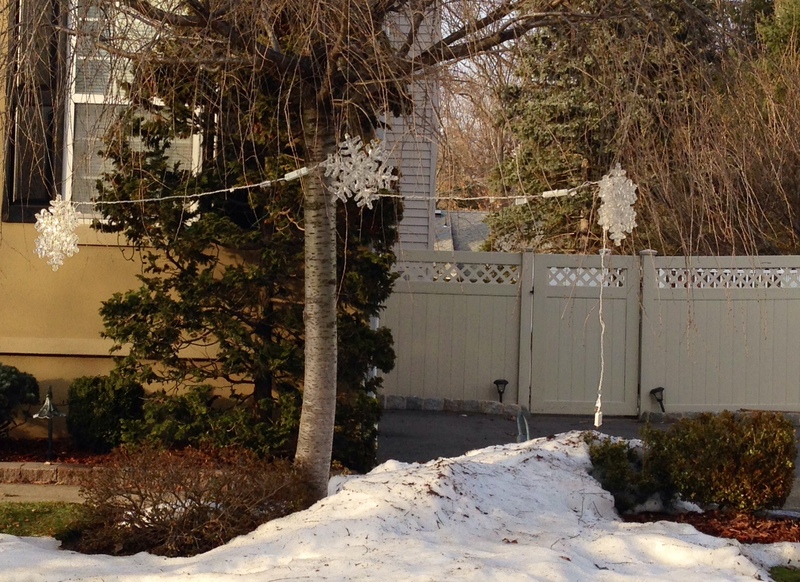 Then I saw some snowflake Christmas lights hanging in a tree. Confusing… Yes, but before today, someone could not even get to the tree. Now, at home, I have a nice fancy camera, but out on my walk with the dog, I only had my iPhone. There’s a famous photographer that’s known for saying, the best camera you can own is the one you have with you, so I started snapping away with my phone. 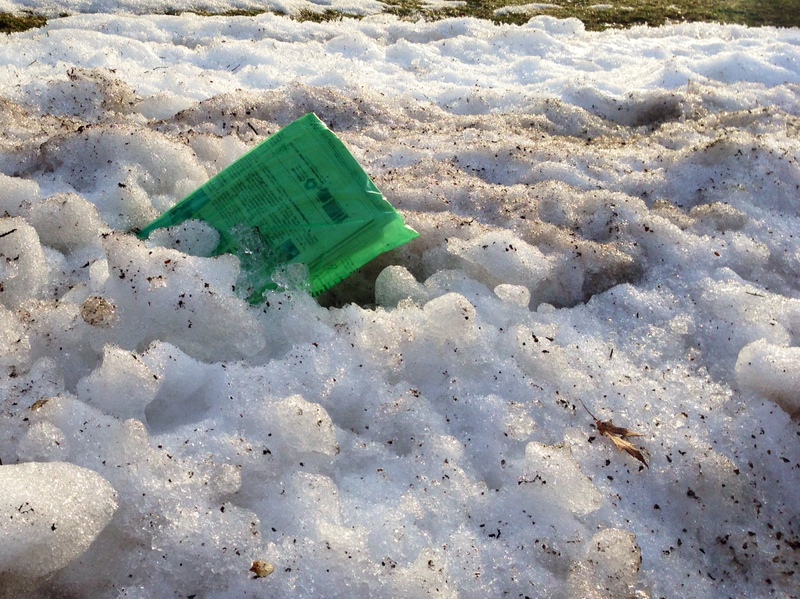 A few more feet down the road I discovered snow melting slowly to reveal a plastic wrapped newspaper that looked good as new. It could have been from yesterday, however, the date on the paper looked like it was from January. I guess the moral of the story here is that while someone could have their own plans; to get rid of a used Christmas tree or deliver a newspaper to a paying customer, nature will always have it’s own plans and it will win. With the changing of the seasons comes a time to reflect on what has been and what will be. This entry was posted in Nature Walks, Uncategorized and tagged Change of Seasons, Christmas, Christmas tree, Nature Walk, Snow, Spring, Winter. Bookmark the permalink.